There are lots of ideas circulating in Hamilton right now that could maximize our return on investment and further our goals of city building. The past couple weeks have seen some interesting ideas presented in Hamilton, with potential for for us to explore ways to maximize our return and further our goals of vibrant city building. In no particular order, here are some musings on what could be. The Rapid Ready report presented to city hall presented many ideas, but one caught my eye: the transit-only lane from Mary to Dundurn. The configuration will allow two westbound traffic lanes to continue from Wellington straight through to Dundurn. West of Bay, curb parking will move to the south curb to allow the transit lane in the north curb. Wide lanes west of Bay would allow us to re-paint the street all the way to Dundurn with an eight-foot parking lane on the south curb, two ten-foot car lanes, a ten-foot bus lane and a green bike lane. The bike lane could begin four feet wide and gradually widen to a five-foot lane with painted buffer zones of four or five feet each on either side to protect cyclists from the live car lanes and the transit lane. The results look something like this, except with a transit lane on the curb instead of parking. At Dundurn, a green bike box allows the cyclists to move over to the curb and connect to the existing bike lanes over the 403. Despite the price tag, it is great news for the city to see the notorious City Motor Hotel expropriated. This is a great development site in the centre of the east end, on a busy transit corridor and future LRT line. One of the ways in which Hamilton is going to need to grow up is by adding high-quality density all through the lower city. I was pleased to hear Ivor Wynne neighbours last night requesting more residents in their neighbourhood (more below). All of the amenities that we desire on our main streets can only come when the population grows enough to support these businesses. The City Motor Site is a chance for Hamilton to leave behind its practice of low-density, poorly-designed townhouses as 'affordable housing', or those big ugly brick commie-blocks we all love to hate. Let's build a high density, mixed-use complex similar to the revitalized Regent Park in Toronto. It's encouraging that Ward 4 Councillor Sam Merulla has the same idea. Studies from all over the world have proven that affordable housing that is designed to look and feel the same as market rental or condo buildings results in more pride of ownership and safer communities. Simply put: design matters. We're drawn to beautiful things. Planning is underway for our Pan Am stadium precinct. I was intrigued to read the list of things that residents want in this area. Their list mirrors my proposal from 2011. From what I've heard about the first precinct planning meeting, the residents are on the money with their desires and plans for the area. Barton Street should enter into a design visioning project similar to the one that has resulted in healthy new trees, benches, bike lane humps, native grass and flower planters and a better pedestrian realm on Roncesvalles in Toronto. Speaking of trees, let's go on a blitz of our main streets and plant curb trees wherever possible. Again, the impact of treed streets has been proven over and over in cities all over the world. This would look great next to the bus/bike lane pilot project! I'm a huge snow fan. In fact I'm a weather nut in all seasons. I've long said that one of the things I love most about big snowstorms is how many of our dangerous, high-speed streets become walkable, safe streets. This video from NYC explains it much better than I ever could. Have a watch and then take a close look at your own local streets - both main, and side streets - and see the traffic calming effect that our large snowbanks have created. Snowy Neckdowns Redux: Winter Traffic Calming from Streetfilms on Vimeo. So, what are your thoughts to improve the quality of life in Hamilton? Respond to this mishmash of ideas with your own. On a purely practical level, if we're trying to accommodate transit users, proper transit shelters at all high-volume stops would be a nice touch. The NW corner of of King & James, for example, is a respectable wind-tunnel, thanks to the surrounding towers. It's also the main stop for the five highest capacity transit routes in the city, and has two standard shelters -- about a fifth of all bus shelters located along King between Queen and Wellington. "Cost of this pilot? However much a few cans of white and green paint are, along with large tree planters to act as temporary curb bumpouts and add more greenery on the painted buffer zone between bikes and cars west of Locke"
Jason, if you would like to be taken more seriously, perhaps you should not be so dismissive of something as delicate as the cost of a project, no matter what the size or scope. Pavement markings, whether permanent or temporary, are not cheap, nor are planters, trees or concrete barricades along a lengthy stretch of roadway. Yes, they are cheap in relation to building a new freeway or buying a bus, but everyone with a passion about an issue is fighting tooth and nail to get a piece of the budgetary pie. All the more reason to aim for the best value for money. Why only between Mary and Dundurn? Putting insta-brt lanes alone the entire B-Line route would go a long way with regards to improving current rapid transit while getting citizens used to loss of lanes while we wait for final LRT design and funding approvals. "We're drawn to beautiful things"
Cannot agree more. Works like magic and can be inexpensive. It can be anything that's pleasant, positive or thoughtful. Just to clarify, the bus-only lane is already on the books. 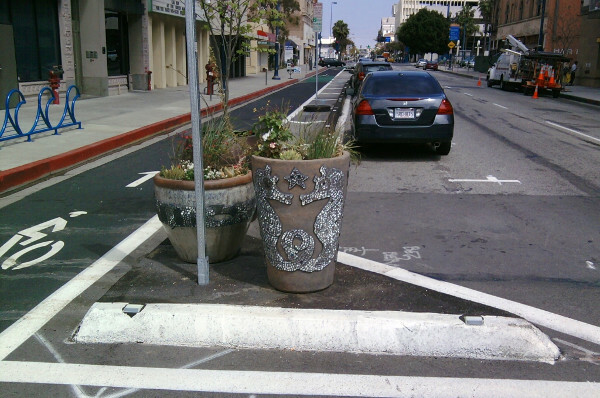 I'm simply suggesting we add the bike lane and bike box to the equation with some temporary tree planters. That is an insanely cheap investment to see King St become a complete street during this trial run. I don't see any need for concrete barricades here. Fresh asphalt is a good start, for sure. And that's usually what holds up these two-way conversions. The city likes to maximize synergies. That's how York Boulevard seemed to take 10 years from plan to execution. I was just citing a range of potential costs based on similar projects to those under discussion. We can definitely do a cut-rate version. Most details are only apparent from the sidewalk. I'm sure that we can cut corners. Shave and pave, for example, is usually cheaper alternative and eco-friendly-ish because it recycles. And it's even cheaper if you use funding from senior government. Ancaster, for example, is tackling an 850-meter stretch of Wilson at a cost of $50,000 (topped up with an additional $450,000 in federal gas tax money). Senior governments get their money from the same place as local governments - there is really only one taxpayer. It's not 'cheaper' because more governments are paying. I admire Wainfleet's economic use of infrastructure dollars, but as parallels go, it's problematic, a two-lane rural town. Within a 25-min drive of Wainfleet, you can probably tally up 1/10 as many residents as you can within a 25-min drive of King and James. And that’s not factoring in the wear and tear of habitual through traffic. Even under the traffic volumes you have identified elsewhere, there is a vast difference in comparative daily traffic volume, to say nothing of the comparable ratio of heavy traffic or breadth of roads. As the article notes, the price tag escalates quickly. That price tage also depends on what extras a project might entail. The 2013 Wilson Street shave-and-pave, at $500,000 (cold-in-place recycling offers a savings, the MTO estimates, of 40-50% compared to conventional road treatments), cost a fraction of the 2012 Wilson Street roadwork immediately to the west. That project, which you hailed as “a complete streets approach that accommodates all road users” (and which can be viewed in progress on Google Street View), is a one-km, two-lane stretch of road that cost $4 million. It’s about 5km from Victoria Park to Gage Park. Using the Wilson Street yardstick and treating the middle north-south kilometer -- the distance from Augusta to Cannon -- on Locke, Queen, Bay, James, John, Wellington, Victoria, Wentworth, Sherman and Gage as well as the 5km span of Main, King and Cannon you’d be looking at 25km of roadwork and a price tag of approximately $100 million. Reduce the sticker shock by applying the $3.6 million area rating infrastructure windfall for Wards 1-3 against the bill, tackle the task with a firm timeline (five km of road conversions every year, say), and produce appreciable results in each ward annually. Good article. But I would have to disagree with you on your use of Roncessvalles Ave in Toronto as an example of how to do what you're talking about. I work in the area and am on "Roncies" everyday when I'm there. It was and is an unmitigated disaster, and if Adam Giambrone even showed his face on that street he would likely get lynched by the business owners who own and operate stores along that unique enclave in west Toronto. It was over budget, over due (by something like a year) and the end product quite frankly stinks. The raised bike lanes are also boarding areas for TTC streetcars. Guess what happens? 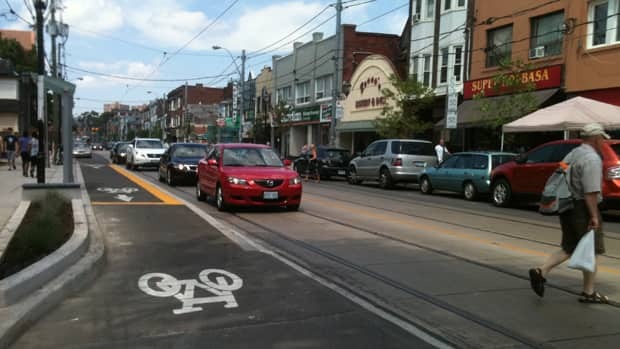 Yes people boarding streetcars come into contact with cyclists or .... the cyclists veer off the bike lane into traffic. Generally these aren't good outcomes for the pedestrians or the cyclists, and as someone who gets to pick up the mess I can attest to the stupidity of the concept. Additionally one lane of traffic has been basically eliminated in both directions. It's a busy streetcar route so when two streetcars are stopped in opposite directions there is essentially gridlock. At least one third of the street parking on the street has been eliminated which has impacted on the businesses that line both sides of the street. Roncessvalles Ave is a classic case of "it wasn't broken. so don't try to fix it". It had a high pedestrian and public transit use quotient, was walkable, was vibrant and thriving the way it was. This dog puke that was inflicted on the taxpayers in that area was a colossal waste of money. In my opinion it ranks right up there with any of the re-dos of Gore Park in the annals of largest waste of municipal tax payer dollars. Wow...very interesting to hear your views as someone who is there all the time. I would like to think that transit riders will learn where to wait as to not impede with the bike lanes....Hamilton just built their first bike hump lane entering Westdale. But as for the rest of your points - very interesting info indeed. I do like all the new trees in proper soil channels, and not just crammed into little sidewalk holes like we do here. I'm also quite jealous of Toronto and their right of way for streetcars. I would love to see that in Hamilton, but we tore them up years ago. Sometimes a 'renovation' of a street can actually set the place back. I wonder if local businesses share your concerns. Less parking would be a real problem. I've long said that Hamilton needs to add 24-7 curb parking on both sides of King, Main, Cannon, Wilson immediately for the sake of giving any prospective business owners a chance. Right now, they are car-only freeways which kills any business hopes. While I laud the idea of what was trying to be accomplished..... it doesn't come off well in that particular location. It's like they had a brainstorming session and decided to implement EVERYTHING without really thinking about whether it would work or not. The bike lanes literally dissect the streetcars from the passenger boarding areas. And while the streetcars have big STOP stickers on the doors when they are open, cyclists typically do not obey them. They typically hop onto the sidewalk or out into traffic (sometimes BETWEEN streetcars). Roncessvalles was narrow to begin with. It's narrower now. It's also a very busy street during the day. Trying to negotiate an emergency vehicle down it now is a nightmare. It was a street that really worked before. Not so much now. 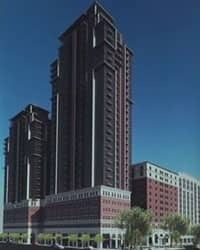 does anyone have some pre-construction photos? Would like to see it's original layout. Of course, in Hamilton we don't have to worry about our main downtown streets being 'too narrow' anytime soon. Losing 1 or 2 of the 5 freeway lanes was really one of my goals in writing this piece. 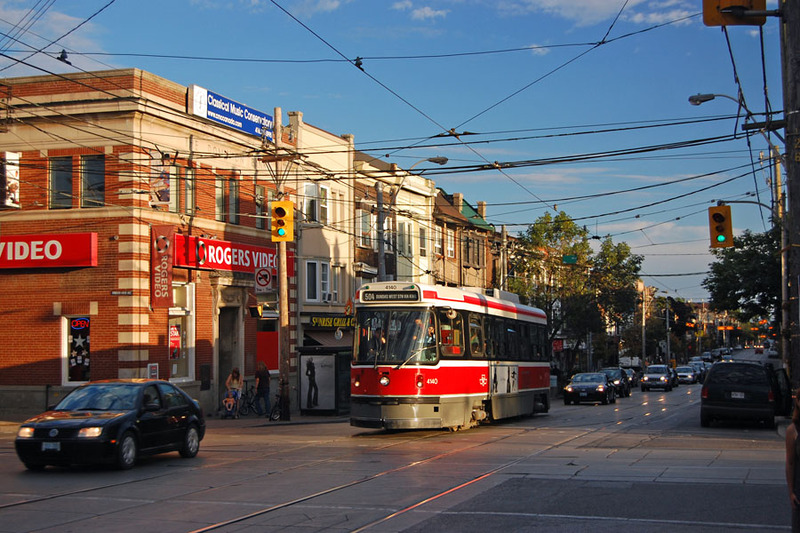 Without a doubt the thing I most appreciate about Toronto is how it has refused to give into all the "gridlock, the sky is falling" cries over the years, and has maintained vibrant neighbourhoods with main commercial streets by continuing with the complete streets of the past. Hamilton, which has freeways ringing our city for easy movement for anyone in any suburb, or Mountain location, still refuses to give our old commercial districts a fighting chance. Instead we have too many car lanes, and crazy parking restrictions everywhere. Most cities simply line both sides of the street with parking with the odd loading zone reserved and that's it. Here, I'm convinced we won a deal on 'no parking' signs many years ago and just started slapping them up everywhere. Toronto, which has no freeways in the entire area between Etobicoke, the DVP, Gardiner and 401 has maintained the urban nature of it's retail streets. When I go to Toronto these are the hoods I hang out in. And not surprisingly, it's not gridlocked, save for bad weather or special events downtown. Hamilton would be wise to add 24-7 parking to as many streets as possible in the lower city - residential and commercial streets. And of course, given our proximity to industry, especially on east end streets like Parkdale, Kenilworth etc.... it would be wise to line these streets with nice trees planted in large, open planters. Make urban living attractive, get rid of unnecessary zoning regulations, make sidewalks safe and with all the new interest in our urban hoods, the retail areas will slowly come back......if we let them. A dedicated, bus-only lane on King Street between Mary and Dundurn streets is among the series of proposals city councillors will consider Monday. The proposal’s immediate goal is to speed up transit. That has the potential of getting people out of their cars and onto buses, increasing ridership on what would be the route for the city’s proposed light rail transit line. It also provides an opportunity for city officials, drivers, pedestrians and transit users to get a sense of the impact LRT would have on downtown traffic. This one-year dedicated bus lane experiment is a sensible proposal. It reflects and bolsters the city’s pursuit of LRT, which is proposed to run about 14 kilometres from Eastgate Square to McMaster University along Queenston Road, King Street and Main Street. That is particularly important given that Mayor Bob Bratina is not championing LRT for the city. If LRT doesn’t come to this city, a dedicated bus lane through downtown would be an asset to our transit system in the future. The philosophical premise of the bus-only lane is a solid one that has worked in other cities. Doing it on a trial basis provides opportunities for tweaking. Should it be all day or only during certain hours? Should it be for express buses only, or all buses? Which lane is best, both for buses and surrounding traffic, cyclists and pedestrians? The only down side we can see is failing to give it a try. it's amazing that our daily paper even felt the need to write this. Are we the first city in history to give this idea a try?? What is normal, standard procedure in almost every city I've ever been to is a 'big deal' and point of discussion in Hamilton. Here is an update to my original post. It looks as though the new secondary school will be located somewhere within the Pan Am stadium precinct in Ward 3.